Keeping skin healthy may already be an important part for you women. Face is one of the most attention-getting body parts, so it's no wonder if we want our faces to look bright, healthy and shining. However, in addition to skin care both naturally and with skin care products, beauty must also be maintained from within that is by taking vitamins are good for the skin,and these vitamins should come from natural foods not from supplements if any from supplements should be herbs. What are the main vitamins? Vitamin E is an antioxidant whose main function in skin care is to protect the skin from sun damage. Vitamin E absorbs harmful UV rays from the sun. It also helps prevent the formation of black spots and wrinkles on the skin. Normally, the human body produces vitamin E through sebum, an oil substance released through the pores of the skin.in a balanced state, sebum helps maintain skin condition and prevent dryness. If you include people who have dry skin, vitamin E may help you cope with sebum deficiency. multiply consuming nuts and seeds such as almonds and sunflower seeds. Take a multivitamin or vitamin E supplement. Eat vegetables and other fruits that contain vitamin C such as strawberries, broccoli, and spinach. Cholesterol is converted into vitamin D when your skin absorbs sunlight. Vitamin D is then taken by the liver and kidneys and taken throughout the body including facial skin to help form healthy cells. Stand in the sun for 10 minutes a day with a note that you have no history of skin cancer. Eat fortified foods like cereal, orange juice, and yogurt. Eat foods that contain natural vitamin D such as salmon and tuna. Vitamin K is known to have the benefit of overcoming various skin conditions such as scars, black spots, and dark circles under the eyes. Vitamin K can be found in various creams for the skin. Doctors will use a cream containing vitamin K for patients who have recently undergone surgery to help reduce swelling and bruising. This vitamin can speed up the healing process. 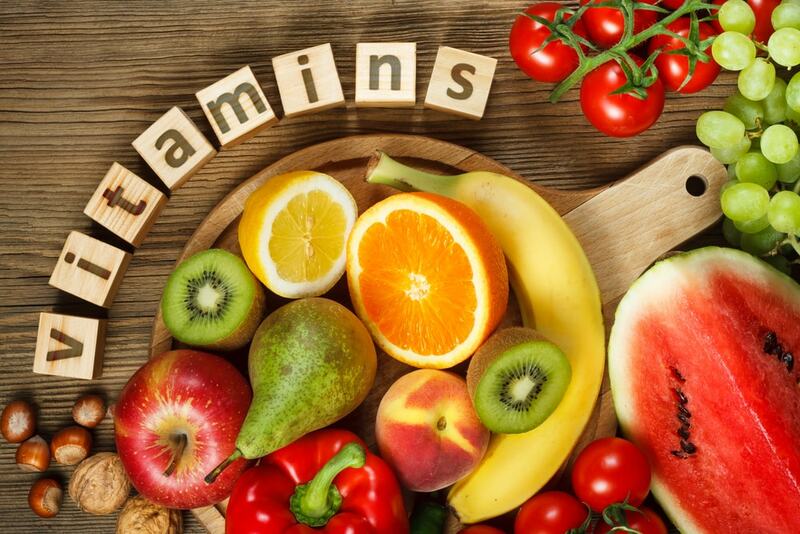 However, research on the effects of vitamin K on skin health is still far less than studies of vitamin E and C.
Adults need 90 to 120 mcg per day. You can increase your intake of vitamin K by eating vegetables such as kale, spinach, lettuce, cabbage, and beans. If you want a glowing skin then follow the tips above tips, so the article about vitamins is good for the skin may be useful for you. 1 Response to "4 Types of Vitamins are Good for Your Skin"